It is probably erroneous to suggest that one period of the sheep year is more important than another. There is no doubt that lambing time should be the climax of the years' work. Unfortunately, in many flocks, this isn't always the case; often because of inadequate preparation and lack of attention to detail throughout the year. Birth is the most hazardous period in any animal's life. Since the sheep is a seasonal breeder, a large number of births take place over a relatively short time, putting extreme pressure on both the shepherd and the sheep. It is the shepherd's responsibility to minimize losses of both lambs and ewes and to ensure that neither are subjected to any unnecessary stress or hazard Apart from welfare considerations, it makes economic sense to rear as many fit and healthy lambs as possible. At Karras Farms, we put extreme infuses in keeping our East Friesian dairy sheep and our Awassi dairy sheep in tip top shape year round! 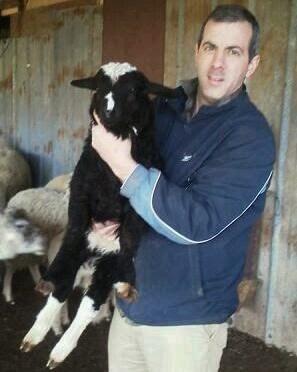 HAPPY LAMBING FROM THE KARRAS FARM FAMILY! It is the duty of the shepherd or anyone who is in charge of sheep to identify sick or injured animals promptly and to give appropriate treatment immediately or obtain veterinary advice as soon as possible. It is a simple matter to spot a sheep or to decide that a sheep which is not eating or that constantly walks around in circles is unwell, but it takes considerable skill, experience and massive commitment to detect animals in the early stages of many diseases. 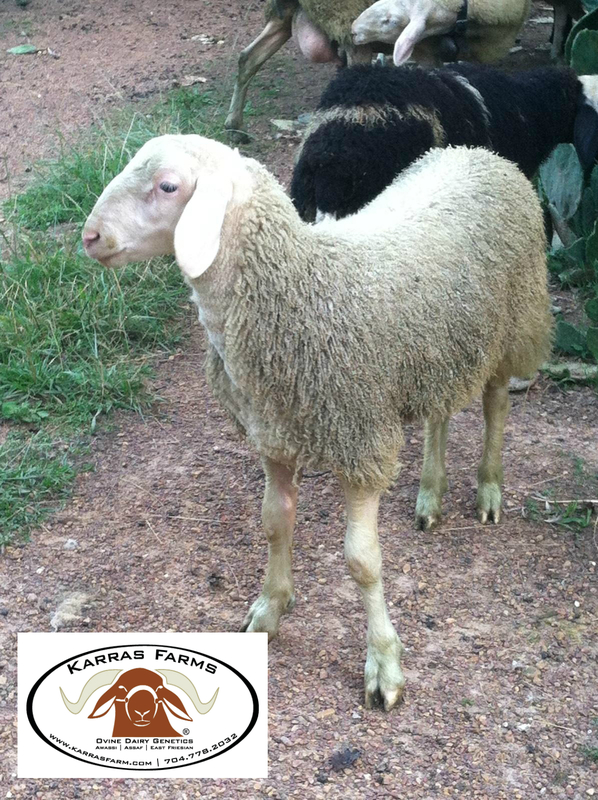 We know there are people in the USA and overseas who are, well... not real happy that Karras Farm took a huge leap forward and decided to be the first farm in the United States to import fullblood Awassi dairy sheep. It's often out of jealousy, intimidation or fear of loss that people result to spreading false information or simply speculate without researching facts. 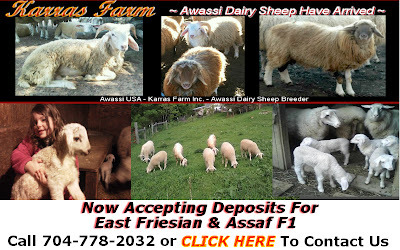 This Awassi importation and breeding program is the result of a vision to enhance the dairy industry in the United States and quite frankly it's a massive undertaking mentally, physically and financially. I love being a shepherd, I love these animals and I will go to my grave knowing these animals are of the very best quality available for importation to the US. Karras Farm has built a highly recognized and trusted name in the dairy sheep community and I personally value everyone involved with advancing the cause of dairy sheep in the United States. Here is a quick video that should give some insight to our New And Improved Awassi Dairy Sheep bloodline and some other fun facts along the way. The video is not the best quality and all of our original documentation can be viewed on our website or we are happy to pass along copies upon request. Needless to say, Karras Farm has the highest quality pedigreed Awassi dairy sheep in the USA. It's unfortunate that even after sharing all the official documents and importation paperwork there will be some people who will question the heritage of these amazing sheep. We can't stop that and really feel sorry for those who have nothing better to do. But, if misery loves company you will have to look elsewhere for your company because Andy Karras is not interested in your invitation. This will be the only video I ever make to this effect and I will leave it up to the rest of you to make your own logical conclusions. So with out any additional delay lets get on to the low budget Karras Farm movie..... 3....beep....2....beep....1.... beep!! A lamb weakened by a by a protracted or difficult birth may be suffering from Anoxia (lack of oxygen) or have fluid in the lungs. The first few minutes are crucial to the lams survival. If the lamb gurgles with the first few breaths or has difficulty breathing, dry off the nose; grasp the lamb momentarily on the return end of the upswing with your free hand so the lamb is stopped abruptly in the vertical position. This accomplishes two things. The centrifugal force aids the movement of fluid from the lungs and the weight of the Viscera presses on the diaphragm causing a forced expiration. When you catch the lamb on the upswing, the weight of the Viscera falls in the opposite direction causing a forced inspiration. Normally two or three swings will get the vitals performing normally. If the heart is beating and the lamb is still not breathing after this exercise, artificial respiration is mandatory. Grasp the lamb by the nose so your thumb and fingers are slightly above the nostrils and respirate until you see the chest expand. Repeat this procedure until the lamb begins breathing. Please be cautious not to blow too hard as the labs lungs are quite small and can be ruptured by excessive pressure. If your attempts are still unsuccessful sometimes a cold water shock treatment will do the trick. Dunk the lamb in cold water, such as a drinking trough. 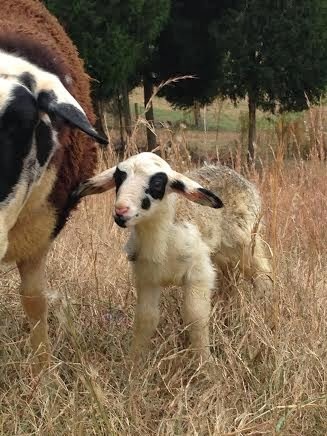 The shock may cause the lamb to gasp and start breathing. Sometimes a finger inserted gently down the throat will stimulate a coughing reflex and get things going. 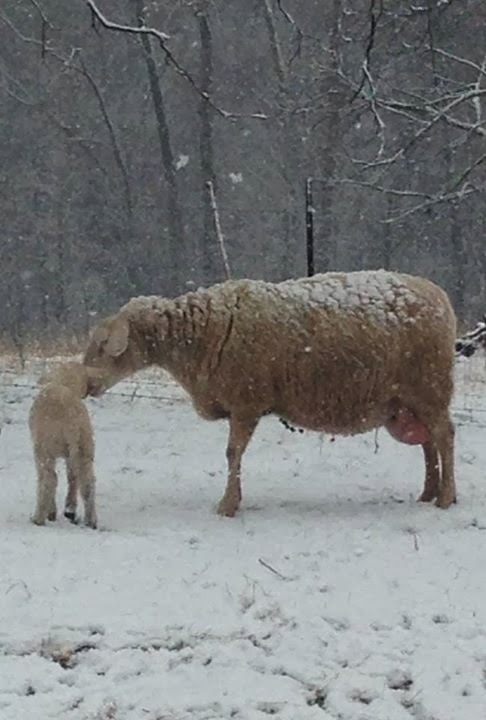 After the lamb starts to breath, be sure to keep it warm and have it checked by a livestock veterinarian asap. Recently, there has been heightened awareness of Ram Epididymitis, a disease caused by one of several different organisms which damage sperm producing tissue. The infection is well under way and contagious prior to external symptoms showing in physical examinations. Symptoms can include swelling of the Epididymitis, located at the base of the testacies, and the presence of hard lump tissue can indicate the disease is already in an advanced state. 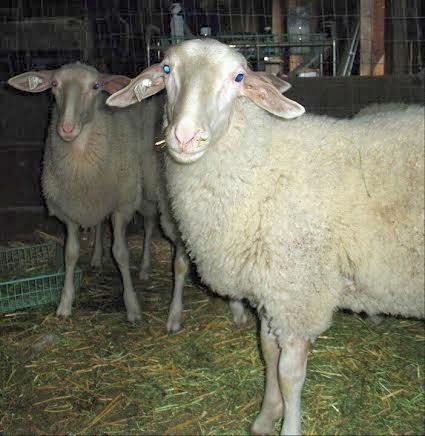 In some cases the ewe may become infected resulting in abortions, still births and weak lambs. It is more commonly contagious from ram to ram but can be transmitted through a ewe who has recently been serviced by a ram. Vaccination has not yet proved highly successful. Early extensive monitoring of your sheep and rapid isolation could save your valuable animals. Wishing you and your family a wonderful Independance Day! Mechanical or “foreign body” pneumonia results when fluids or objects enter the lungs, such as excessive birth fluids or milk in the lungs of lambs. 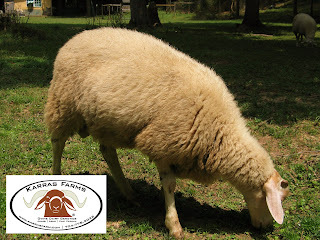 An abnormal birth position or any interruption of the umbilical blood supply to the lamb results in an oxygen deficiency. This in turn stimulates the respiratory reflex and causes the lamb to attempt breathing prior to birth. The respiratory reflex causes inhalation of excessive fetal fluids resulting in mechanical pneumonia. Forced bottle feeding of as lamb with impaired sucking reflex, improper stomach tubing or oral medication may also allow fluid to enter the lungs. There is no cure for mechanical pneumonia.